Are you trying to win major clients but are unsure how to reach them? At the same time, you realize that when it comes to big contracts, presenting your business offer at a distance won’t suffice. Luckily, there is a solution. A couple of weeks ago we discussed 7 not-so-obvious applications of cold emails, one of them deserving particular attention. The reason for that being the fact that it’s proved to be the most efficient application, which is only confirmed by the results of the away campaigns we’ve run for our clients. 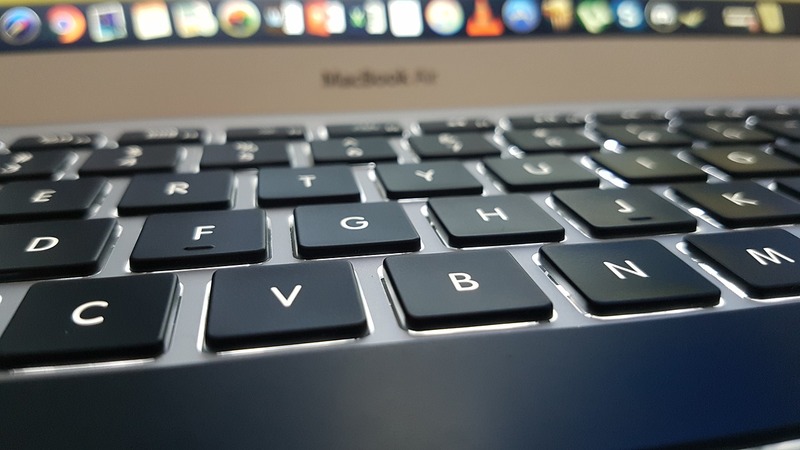 A combination of an innovative way of winning clients online and a seemingly obsolete method of face-to-face sales turns out to be the key to success, as evidenced by the results of using cold emails in this area. We’ve collected data from thousands of campaigns we’ve run. 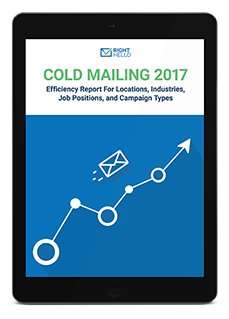 Download and see how cold mailing will work for your company. In the times of widespread digitization, with an increasing number of things being handled online, the old school of business gets a new life. Arranging a face-to-face meeting and devoting your time to someone shows the importance of the relation. Moreover, a business that you want to spend a big buck on your product or service will not make the purchase decision with a single click. It requires a process that you, as the salesperson, have to take care of. How do you prepare for an away campaign? Why don’t you take Michał Kuzborski, a co-owner at LamaMedia, as an example? Michał wanted to expand into foreign markets. He decided that the best way he can go about this would be by participating in conferences abroad, during which he’ll be able to meet and talk to potential clients. It goes without saying that taking part in industry-specific events can pay off big time. That said, in order to make the most out of your business trip, it’s a very sensible idea to plan whom and when you can talk to. First, you won’t have to roam the venue, looking for potential targets. Second, a detailed plan allows you to save time. We all well know that the reality of networking events is rather gloomy – lots of talking, lots of smiling, but not much comes out of it. That’s why, instead of chatting with random company reps, Michał decided to employ cold emails to arrange specific meetings in advance. The campaign we set up for him was supposed to target only the companies meeting particular criteria. The first away campaign was ran in 2015 when Michał went to the States for a conference. The result? Open rate of 36.38% and a very promising 57 positive replies. Michał managed to fill his schedule with one meeting after another. In the end, he’s won a total of twelve new contracts. This method for winning foreign clients proved to be so efficient, that we ran more away campaigns for LamaMedia in the years that followed – in advance of trips to Los Angeles, New York City, Oslo, Sydney, London, and Berlin. These campaigns were the starting point for the Wrocław-based company’s foreign expansion. Currently, foreign companies make up around one third of LamaMedia’s clients. What benefits can you draw from running an away campaign? You’ll make your entire trip better-planned and more efficient. Just think how difficult it will be for you to find a potential client among 800 conference participants. You’ll never be able to talk to everyone. Thanks to cold emails you establish the first contact online and talk only to those interested later on. You’re utilizing your time spent at the venue to the fullest. Let’s say you’ll be visiting London. I don’t think you’re going to look up all the digital agencies in Oxford Street and go door to door seeing them, right? An away campaign will give you the chance to precisely select the companies, individuals at the right positions, and cities that you’re interested in. You’ll make a great impression by wanting to see someone in real life. You’ll show you’re serious about this. Major contracts aren’t signed via email (well, maybe with some exceptions, depending on the industry). You can provide way more information during a personal chat and impress the prospect. People tend to buy from those they like. An email creates an excellent base for a sales chat along the line. The rest is in your hands, and you’re a capable salesman. You’re doing large-scale, time-efficient networking. 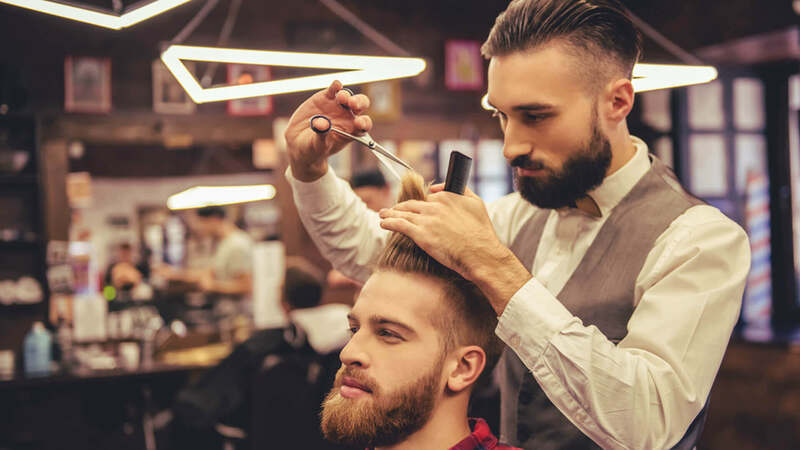 Even if after the face-to-face chat the client won’t decide to do business with you, he’ll surely remember you. Maybe another opportunity will arise in the future? This form of establishing contact expands your network. Indeed, cold emails can be used to develop new relations! Cold emails can be a really powerful tool for making a new contact, as long as you use them properly. Initiating a meeting during a future business trip abroad or a conference can save you time, energy, and most of all, sift through the pool of potentially interested business partners. The more quality the leads are, the bigger the chances of closing deals. When planning your next business trip, consider if it wouldn’t be a good idea to send a bunch of emails in advance. Chief Marketing Officer at RightHello, inbound marketing specialist with the focus on lead generation. Passionate about content marketing and social media. Obsessed with personal development.